Aston Avery an Ambassador for Autism National Charity AnnaKennedyonline supported by his parents and Charity Champions Couple Keith and Dawn Avery. 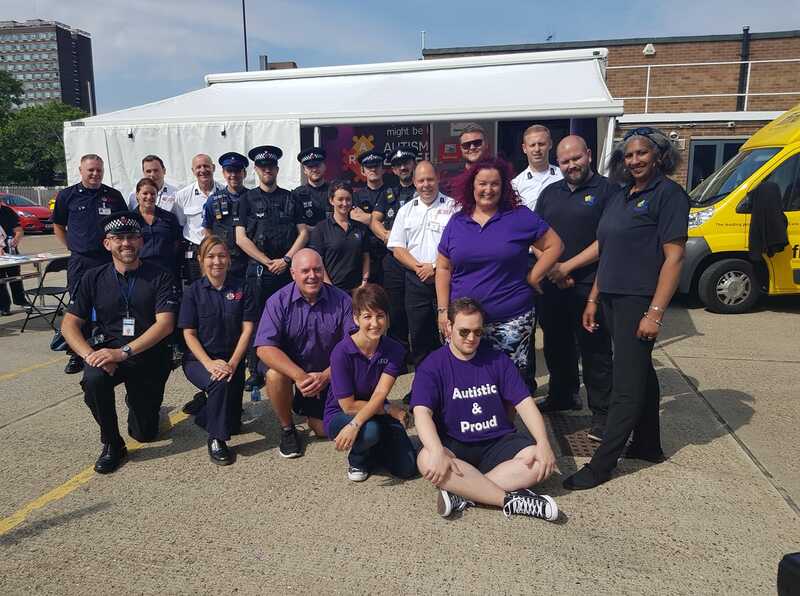 The Averys alongside Training 2 Care and Anna Kennedy OBE arranged an autism awareness day at Basildon Fire Station in Essex for First Responder’s in the area. 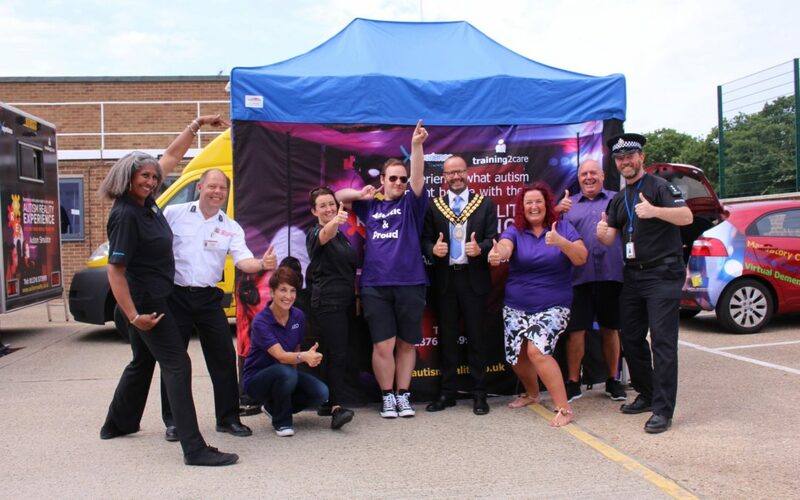 Aston is a keen autism awareness campaigner and came up with the idea of a training day to help educate First Responders to avoid similar problems to the one he had suffered a few years ago. A few years ago, Aston ran away from home and he was eventually found by police, however became extremely distressed and overwhelmed by their appearance. The Avery’s contacted the police and received overwhelming support from Darren Driscoll Fire Station Commander and Inspector Steve Parry part of Basildon Neighbourhood policing team. On the training day over seventy officers from the Fire Station, Police, Ambulance Service and the Mayor of Basildon attended the day. Training2Care delivered a taster of an innovative and Immersive training experience of a sensory overload. Training2Care have developed a simulation Autism Reality Experience Bus as part of their awareness package and brought 2 buses along on the day. AnnaKennedyonline is proud to be in partnership with Training2Care and they hope to take the autism awareness experience across the country. Anna Kennedy OBE and her team were present all day to be on hand to answer any questions about the charity and their work. Anna also provided a handout for officers to take away on a few scenario’s that they may encounter with an autistic individual during the officers working day.